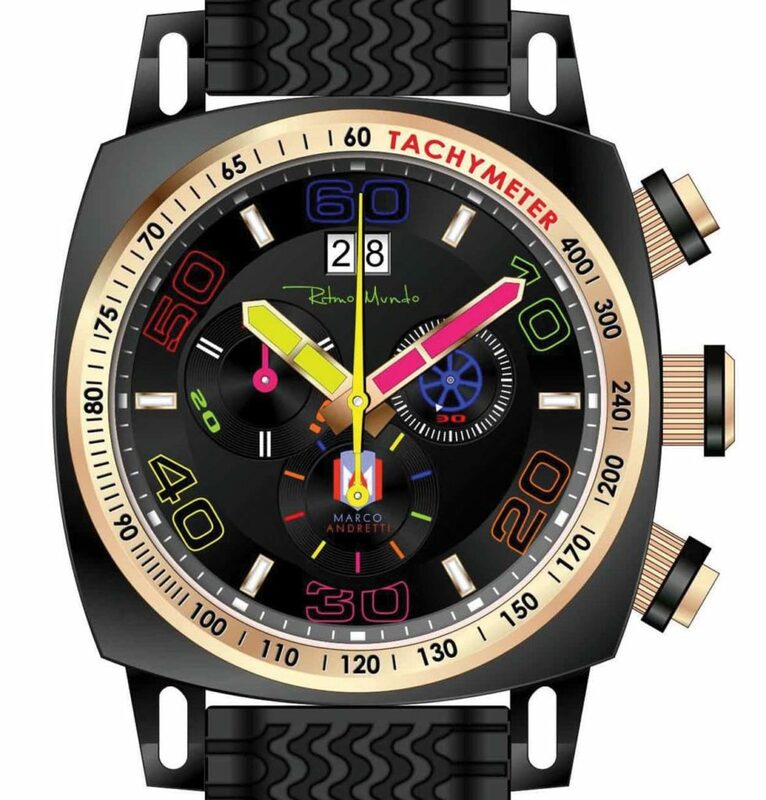 Indy Car racing driver Marco Andretti counts Beverly Hills-based watch designer/retailer Ritmo Mundo as one of his sponsors. Recently, the company introduced a limited-edition wristwatch in his honor. The bad news is there will only be 100 of the numbered chronographs available at $850 each. The 44-millimeter stainless-steel case features brightly colored luminous red and yellow hands, while in back there’s an engraved portrait of Marco, along with his signature. As a finishing touch, the rubber watchstrap has the look of a tire tread. Check out Marco’s watch plus the complete line of Ritmo Mundo timepieces at www.ritmomundo.com/product/racer-limited-edition-marco-andretti/.